A searing, postapocalyptic novel destined to become Cormac McCarthy’s masterpiece. The Road is the profoundly moving story of a journey. It boldly imagines a future in which no hope remains, but in which the father and his son, “each the other’s world entire,” are sustained by love. Awesome in the totality of its vision, it is an unflinching meditation on the worst and the best that we are capable of: ultimate destructiveness, desperate tenacity, and the tenderness that keeps two people alive in the face of total devastation. Cormac McCarthy is the author of nine previous novels. Among his honors are the National Book Award and the National Book Critics Circle Award. “Even within the author’s extraordinary body of work, this stands as a radical achievement, a novel that demands to be read and reread . . . A parable that reads like Night of the Living Dead as rewritten by Samuel Beckett . . . The relationship between father and son has a sweetness that represents all that’s good in a universe where conventional notions of good and evil have been extinguished. Amid the bleakness of survival there are glimmers of comedy . 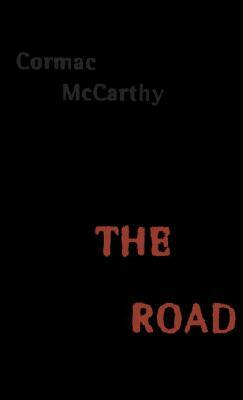 . . [McCarthy’s] prose combines the cadence of prophecy with the indelible images of poetry. A novel of horrific beauty, where death is the only truth.